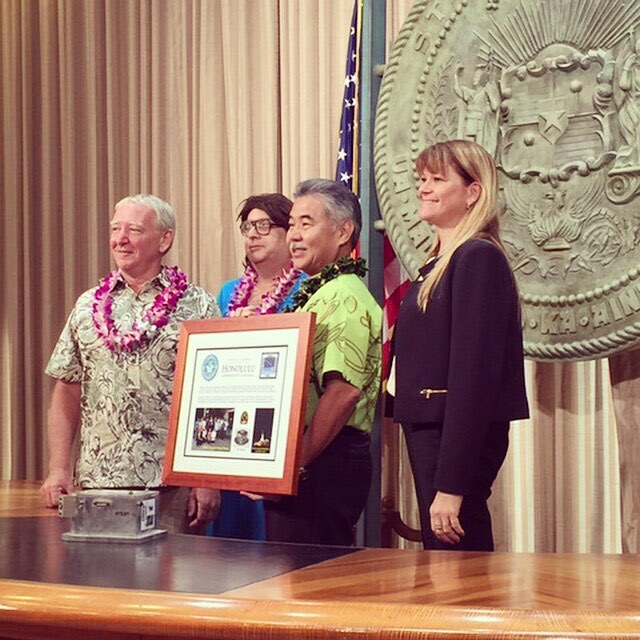 Governor David Ige presented commemorative plaques to Project Imua team members from University of Hawai’i campuses across the state during a recognition ceremony at the State Capitol on October 23. Project Imua (Hawaiian for ‘to move forward’) is a joint faculty-student enterprise for designing, fabricating and testing payloads. The actual Project Imua Payload that flew into space this past summer was also displayed during the ceremony. On August 12, 2015 University of Hawaiʻi community college students watched their scientific/engineering payload spin into space when a two-stage Terrier-Improved Malemute sounding rocket was launched from NASA’s Wallops Flight Facility in Virginia. Payloads developed by students from seven higher education programs were aboard the rocket. The UH Community College team was the only community college whose payload was selected for this launch. Kauaʻi CC designed and built the payload’s instrumentation. Honolulu CC designed the payload’s electronic circuitry for power and telemetry. Kapiʻolani CC designed the associated print circuit board. Windward CC integrated all the components together and performed static tests on the payload. Both Windward CC and Kauaʻi CC designed and constructed the payload’s mechanical housing. Project Imua is funded by a two-year $500,000 grant awarded under the NASA Space Grant Competitive Opportunity for Partnerships with Community Colleges and Technical Schools. 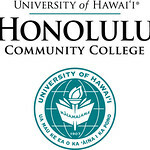 Project Imua is supported by UH Mānoa, UH’s mainHawaiʻi Space Grant Consortium campus, which provides technical assistance through Hawaiʻi Space Flight Laboratory’s resources and personnel.